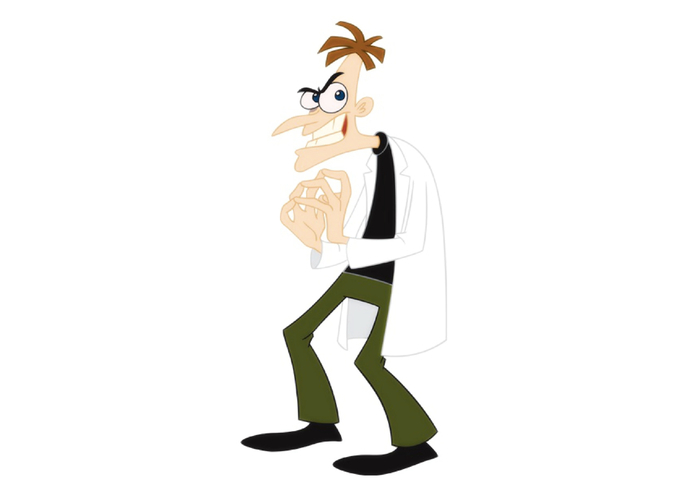 Learn smarter, the Doofenshmirtz way! 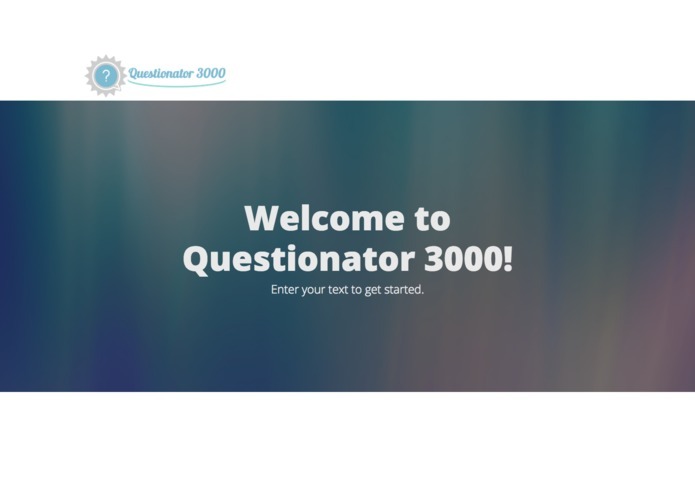 The Questionator 3000 automatically creates questions to help you study! Our inspiration, Dr. Heinz Doofenshmirtz of Doofenshmirtz Evil Inc.
As students, we realize that studying isn't always easy. Sifting through lots of material in your textbook can be tiring. 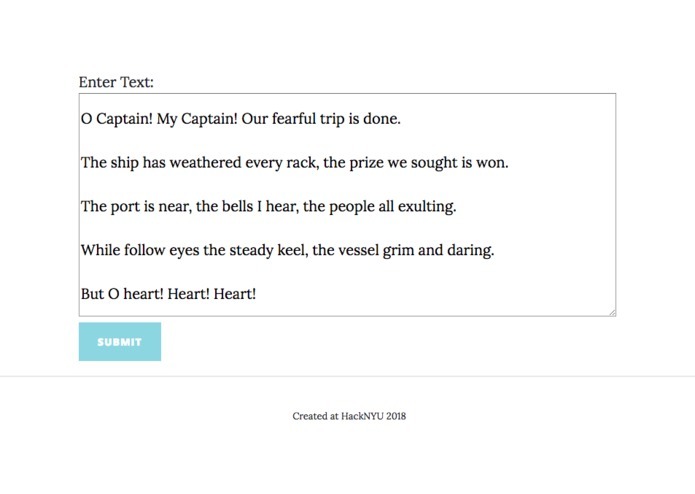 Therefore, we wanted to create a website that would solve this problem by automatically generating questions from a given text. 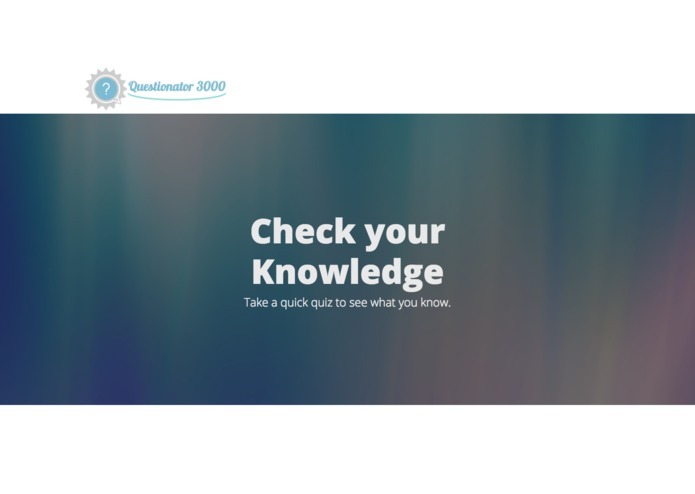 The Questionator 3000 automatically generates fill in the blank and true/false questions after the user submits text. Then, the user can attempt to answer these questions and check their answers. This was our first time trying to develop a dynamic website, so we had lots of trouble learning how to integrate all the different parts of our website. However, learning how to do so was a great experience and we are proud of the final result. We successfully used libraries such as the NLTK library in order to generate simple questions for the user and integrated this functionality into a website. 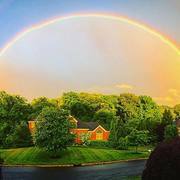 We think this is a great accomplishment, especially considering that this was our first hackathon for some of us. 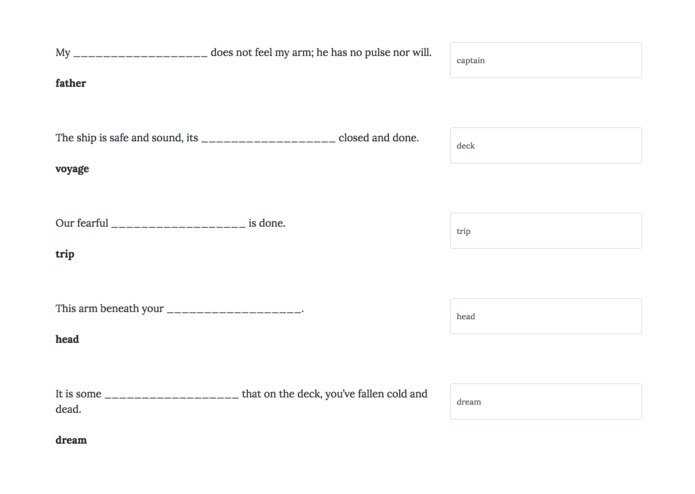 It was our first time trying to work with natural language processing, so it was our first time using resources like textblob and NLTK. It was also our first time developing a dynamic website, so we learned how to use socket in order to do so. 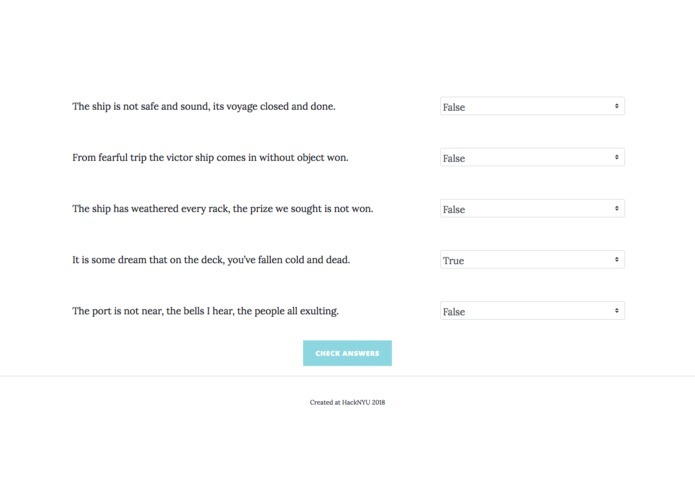 One of the things we wanted to have for Questionator 3000 was a function to generate questions based on a PDF. We were already able to use a library called pdfminer to convert the contents of a pdf into text, and from there generate questions in python. However, we were unable to implement this functionality into the website due to time restrictions. If we had more time, we would also like to experiment with technologies such as Amazon Rekognition to get text from images as well as PDF files, and also to use word sense disambiguation to generate higher quality questions. 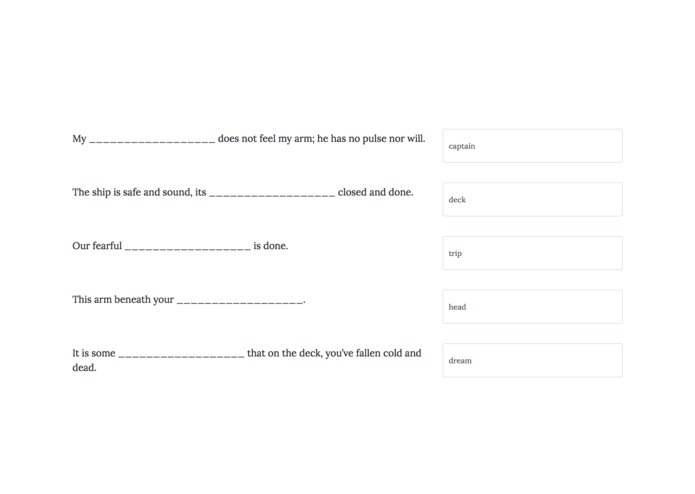 I worked on some of the question generator python files, and also created the HTML for the user to enter and check their answers. I worked mainly on the backend of this project. I was responsible for the question generator python files as well as setting up the python server to integrate our front end and backend. I also worked on CSS for our web page. I worked on the front end. 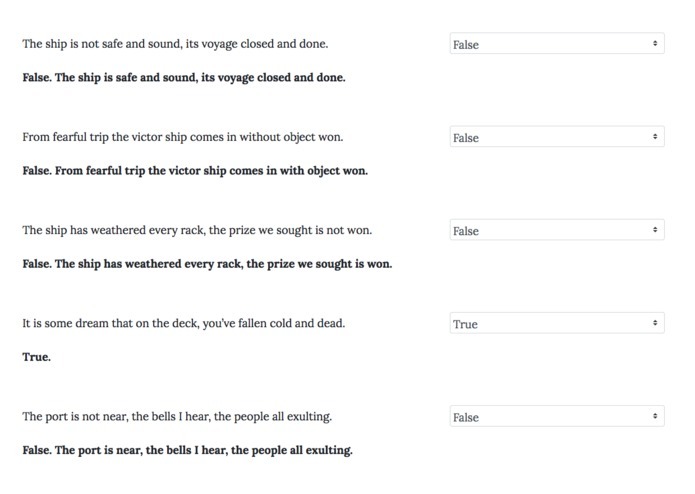 I worked on the true/false question generator (back end), some aspects of HTML/CSS, and the translating of text into a more usable format. I worked on the back end and translation of text from pdf files.